The STAR Workplace Program understands that measuring satisfaction of employees is only the top of the iceberg when it comes to people performance; in fact, research from MITsloan Business School indicates that it is only 25% of what really counts. Benchmarking these key drivers against the Strategic Action Model™ and Industry standards allows businesses to see the full picture of people performance and alignment within their business - not just the tip of the iceberg! The STAR Workplace Program has been used since 2008 to survey thousands of workers across all industries and organisation sizes. 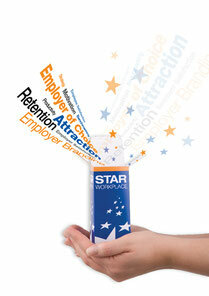 Click here to find out more about the STAR Workplace Program. During our research, HR Coach found that there was a gap in the market for businesses in the small to medium sized sector to effectively create great workplaces and gain the recognition they deserved for their efforts. Terminology like "Employer of Choice" may have implications for the corporate market, but lacks a tangible result for SME's. 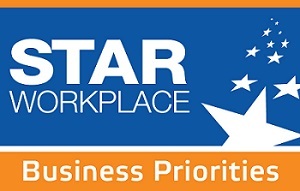 The STAR Workplace Program was designed to address this gap and to identify organisations that are committed to creating an engaged and productive workplace. This means organisations where the both the Employer and Employees have high levels of satisfaction with the workplace and there is a clear focus on making strategy happen. Any organisation, regardless of size, can be a STAR Workplace. HR Coach proudly supports the Starlight Children's Foundation. Funds raised will assist the Starlight Children's Foundation in brightening the lives of seriously ill and hospitalised children. HR Coach contributes a portion of the sale of each STAR Workplace Program to the Starlight Children's Foundation. Contact Us to learn more about the STAR Workplace Program, including finding a local HR Coach Network Member in your community. Additionally, you can download the STAR Workplace Brochure .